This natural tote features matching handles and side gusset accents! 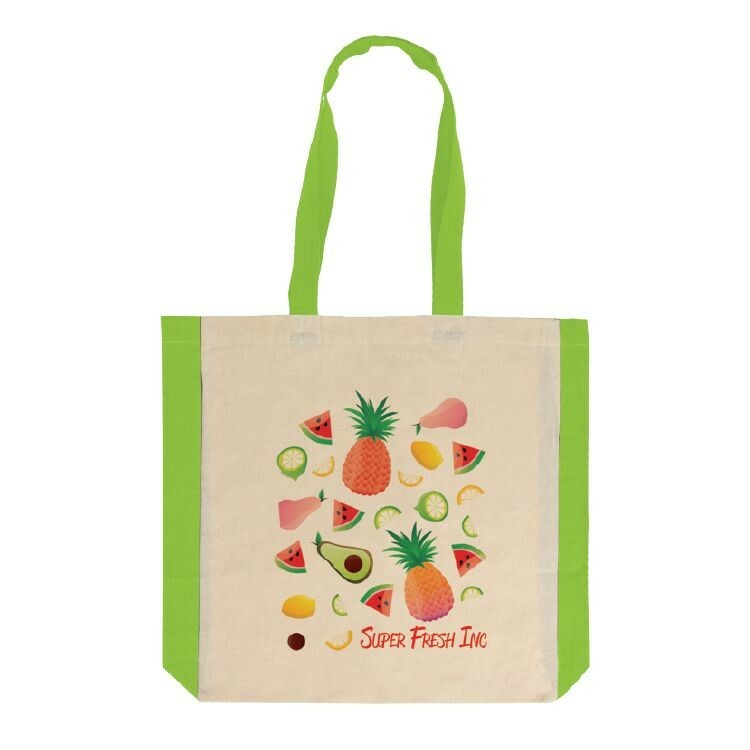 Your customers will definitely appreciate how eco-friendly this bag is! With an overall size of 16" H x 15" L x 3" D, this natural tote is always a great promo options!